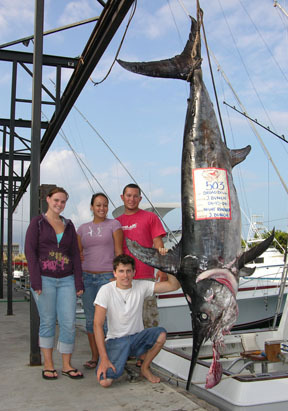 Almost seven years ago to the day, the previous state record of 365 lbs was caught off Kona. Now, Josh Bunch has topped that record by 138 lbs! Josh caught his 503-lb broadbill while fishing on the NIGHTRUNNER on June 15 while using a handline.